The missing Malaysia Airlines jet vanished en route from Kuala Lumpur to Beijing on March 8 2014 carrying 239 people. Jeff Wise, the author of The Plane That Wasn’t There, said data from a satellite was used to plot concentric circles of the plane’s possible locations at various time intervals. A set of ‘pingrings’ sent from the plane to the satellite reveals the distance between the two at the time of the ‘handshakes’. Mr Wise said that if the speed of the aircraft in the flight interval between the pingrings were known, the whole route could be tracked. This is because the location of the plane at the first pingring is known, which, combined with the data indicating its distance from the satellite, could be used to work out its location at each of the subsequent pingrings. The aviation expert added that he was excited about the idea of “crowdsourcing” the answer to the MH370 mystery. Mr Wise said that a Reddit user called Globus Max realised that since a constant speed had been assumed by the authorities when working out the presumed route, it would be possible to deduce the plane’s location on them at the time of each pingring. Therefore, it is possible to “reverse engineer” the diameter of the pingring. Globus Max “did the math” and then another investigator else used their “orbal mechanism savvy” to create a set of concentric circles that could be placed on top of the globe’s surface on Google Earth. Mr Wise said: ‘We counted this as a huge achievement because these pingrings put us halfway to figuring out the plane’s actual route. 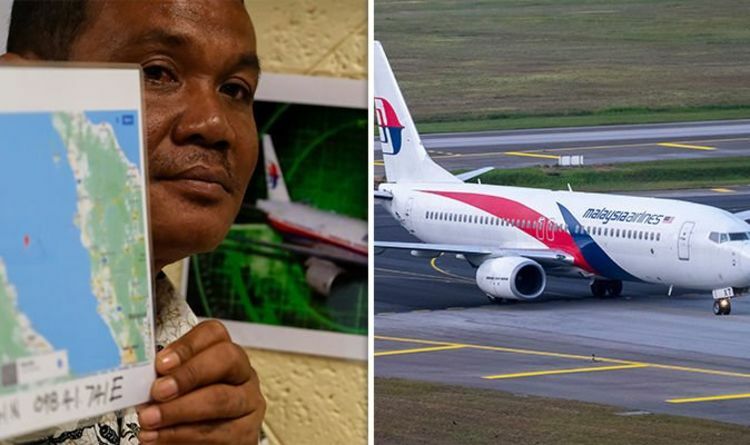 The location of the plane at the first pingring is known, because the data was received by the satellite at the same time the plane disappeared from Malaysian military radar. The speed, however, is required to work out the location of the plane at the next pingring. Mr Wise said: “Knowing the average speed to the second pingring would give us the location at the time of the second handshake. “That location and the speed to the third pingring would give us the location at the time of the second handshake and so on. Crucially, if it is assumed that the last pingring detected is when the plane ran out of fuel, investigators would know where to look for the wreckage of the plane.